To create your website marketing plan, you first need to decide which type of website will work best for you. The answers to the following questions will help you get started. 1. What Type of Website Should I Choose? 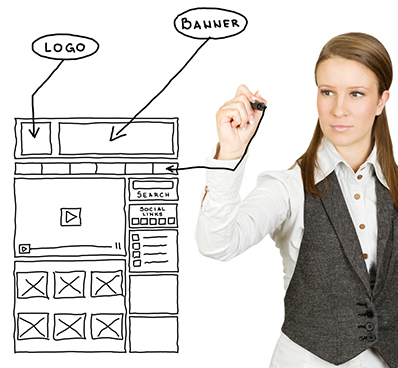 There are two main choices for your website, a brochure website or a direct-response website. As part of your website marketing plan, you need to decide which type will work best for your business. Many websites are brochure sites which means they just present information about your business and what services or products you offer. A direct-response website is technically a bit more sophisticated, they ask visitors to do something. They have a ‘Call to Action’, usually asking visitors to fill in their name and email address in exchange for a ‘free offer’, such as a free report. Depending on your business, you may also want to offer a way of buying online and take payment via your site. 2. Why Would I Choose a Direct-Response Website? One of the main benefits is that you can increase the size of your potential client database. This gives you the opportunity to follow up with your visitors and develop a communication flow with them. This is very important as less than 1% of visitors actually buy anything on their first visit to a website. 3. What Attracts People to Read a Website Page? The headlines can make all the difference between whether your visitor stays to read the page or clicks away. Make sure your headlines are attention grabbing and make the viewer want to read on. You may also want to include subheadings to encourage them to read further. 4. Any Tips for Writing the Text? When you design your website, make sure it is obvious to your visitors who the site is written for (your target market). Also make it clear what the benefits are of your product or service. It is best if you do this as early as possible on your site, preferably on your home page. 5. Do You Have Any Other Tips? As part of your website marketing plan, you want visitors to stay on your site as long as possible. Guide your visitors around your site and make it easy for them to navigate. The internet is full of pages that just end without telling the visitor what to do next. Make sure you direct them to the next page you want them to read, or tell them what other action to take, such as fill in the contact form. Otherwise it can be difficult for visitors to knowing which is the most logical order to view your pages.